From the depths of Autodesk Labs comes up yet another tool. This, in my humble opinion, may be one of the best technology previews yet. There's a lot of potential in this one! The Link for I-map is here. 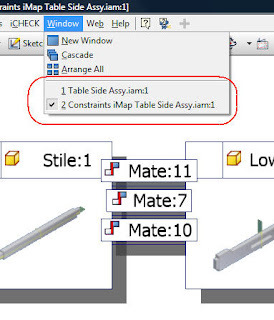 I-Map let's you create a map of constraints and shows which parts the constraints are acting on. 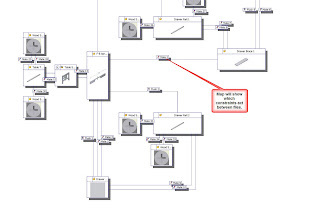 The picture attached below shows an example of how constraint mapping works. It's like a flow chart for constraints (at least that's how my little brain views it). Click on the picture to enlarge. 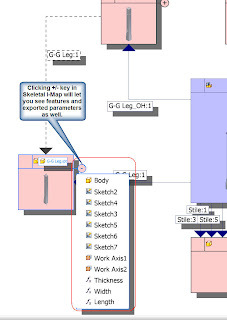 The other option is Skeletal I-maps, which also let you see features and exported parameters. 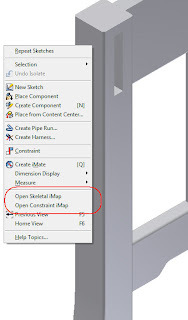 The constraint maps open up in a second window, so you can toggle between the two by using your Windows Pulldown in Inventor. I-Map also gives you a new shortcut on your desktop to start it. So you always have the option of starting Inventor without it if you choose.